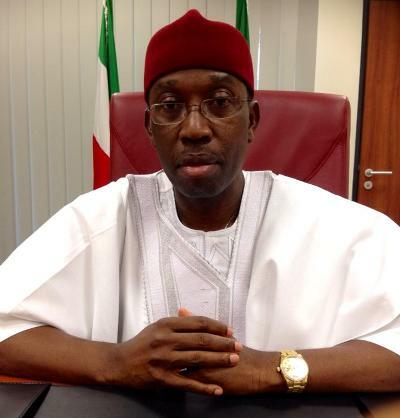 Delta state governor, Okowa, sacks two commissioners – Royal Times of Nigeria. Delta State Governor, Ifeanyi Okowa has sacked two members of his cabinet members and reassigned four others new portfolios. The affected Commissioners are Dr. Nicholas Azinge, formerly in charge of the Ministry of Health and Chief Dan Okenyi (Culture & Tourism), who was recently redeployed from the Ministry of Lands, Survey, Urban and Regional Planning over alleged land racketeering and grabbing. Those reassigned include, Hon Asupa Forteta, the former Commissioner in charge of the Directorate of Youths Development, now to the Directorate of Urban Renewal and Chief Karo Ilolo, who was initially in the Directorate of Urban Renewal, to now take charge of the Youths Development. Others are Hon. Bright Edejewhro, formerly in Local Government Affairs, now takes charge of the Ministry of Science and Technology, while Hon Joyce Overah, who was in the Ministry of Science and Technology, has now been moved to the Directorate of Local Government Affairs. The Governor, in a statement signed by the Secretary to the State Government (SSG), Chief Festus Ovie Agas, thanked the sacked commissioners for their commitments and contributions to the realisation of his five point SMART agenda, and wish them success in their future endeavours.